Antonio Cromartie Tells Michael Irvin He's "Ready to Come to the Cowboys"
Antonio Cromartie really likes the idea of being a Dallas Cowboy. Two offseasons in a row now, the veteran cornerback has appealed to America’s Team to give him a shot. Last year, with the Cowboys coming off a 12-4 season and an NFC East title, Cromartie said on ESPN that he believed he was the missing piece for the team. 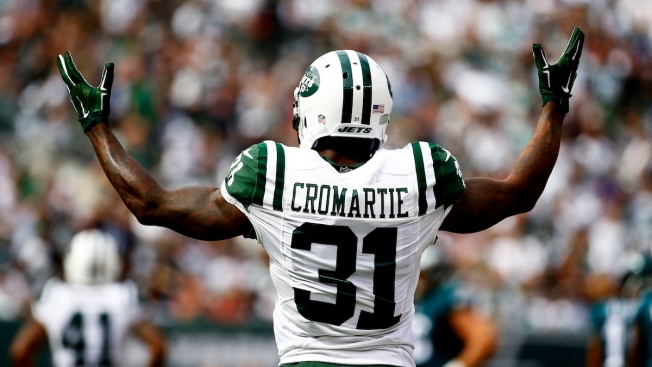 "They're only missing one key piece and that's the piece in the secondary," Cromartie said then, per the Dallas Morning News, "and I feel like I can be that piece to help and go in and win a championship and get the Dallas Cowboys back where they're supposed to be." These direct, public appeals on the part of players haven’t always been successful with the Cowboys. Former rushing champion Chris Johnson more or less begged the Cowboys to give him a chance last year, but the Cowboys never made a move and Johnson signed with Arizona, where he posted 814 yards and four touchdowns in 11 games.